The build up to Christmas was absolutely manic, for Mr.H’s business but also for me getting all last minute orders out and finishing gifts, so once all festivities were out the way, (Happy New Year to you by the way) I sat there on January 1st thinking wow! No deadlines! This photo is up to round 70 I’m on 73 now, but I really want to get it finished so I can start on helens new star of wonder. In the pattern Helen writes that she found (us terms) DTR then BPSC combination by error, what a fabulous error! It adds so much texture to the blanket. 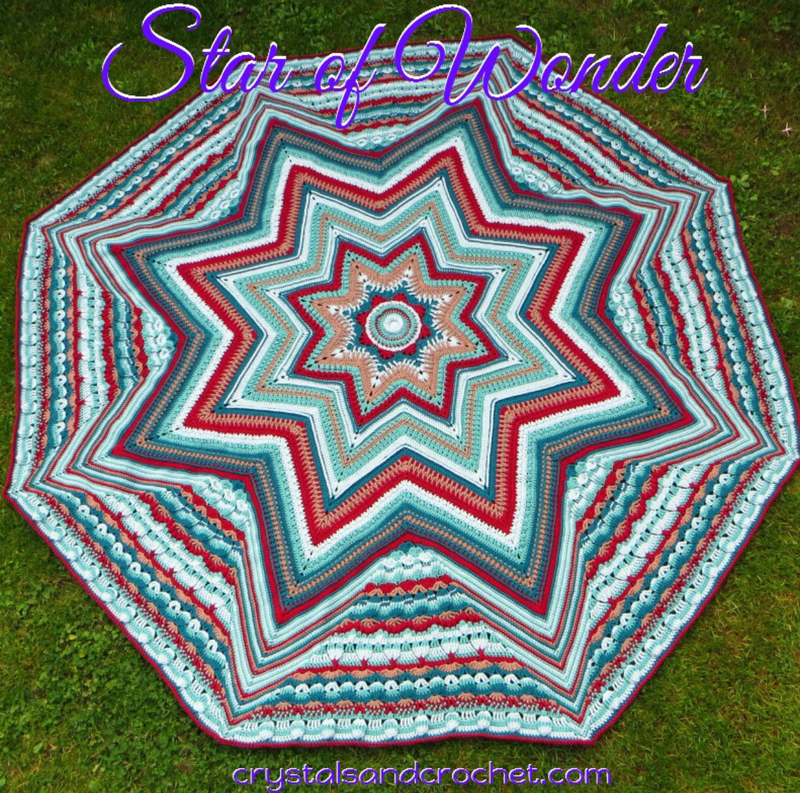 Anyway, she’s just launched a new pattern Star of wonder, not a freebie or a CAL, you can find her pattern through her blog page and clicking on the link to ravelry, it’s simply beautiful. I’ve pinched a picture to show you, this isn’t mine! 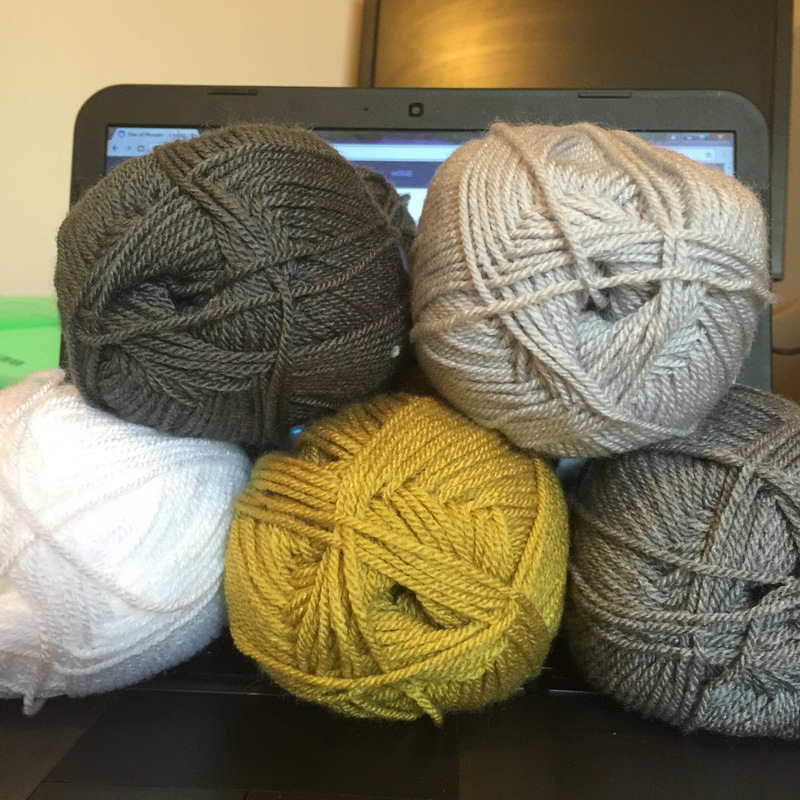 Now on her blog she also talks about choosing your own colour way. 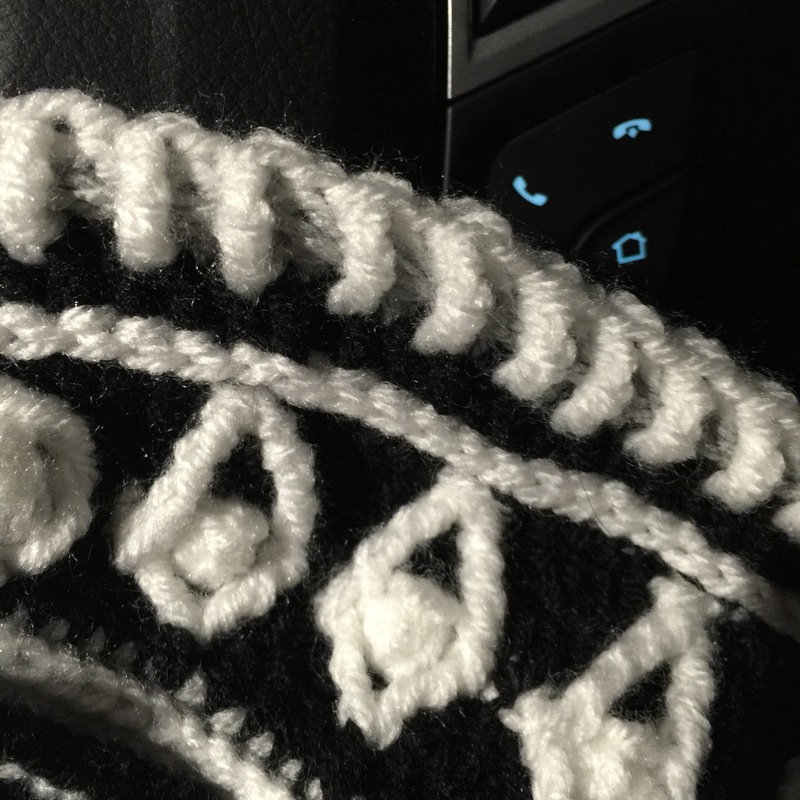 If you’ve been reading my blog for a bit you’ll know I’m not very creative when it comes to colour, however helens blog has really helped me. She says that as a guide you should chose your main colour, now I’ve got a new sofa coming in black, and I think grey is really nice at the moment and it would go with my sofa, so my main colour is grey, she then said to pick 3 shades of your main colour, so I’ve gone for graphite, grey and silver, then she recommends to pick a colour on the opposite side of the colour wheel, so I should of gone for a blue, but to be honest, I’m really not a fan of blue so I went a little to the other side and chose lime then finally to chose a neutral light, dark or medium, too much choice for me! So I stuck with white, but how lovely they all go together?! Anyway, in going to crack on with my mandala, and hand it over to my sister…. 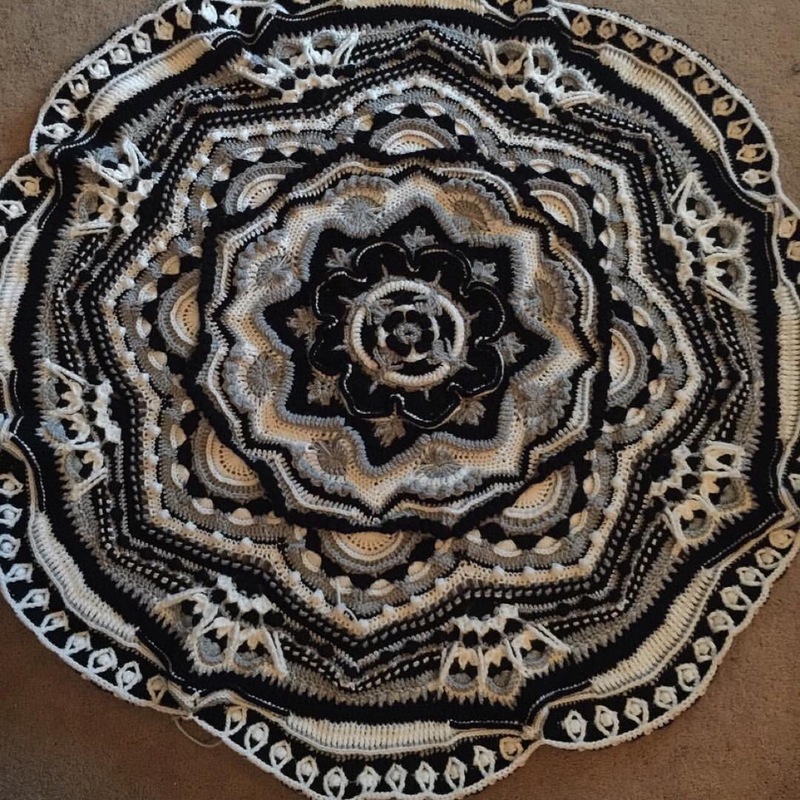 A black and gray Mandala Madness–Beautiful!! Congrats on finishing part 10. That every other stitch color change is crazy:)! I love the star colors you have chosen too. I look forward to seeing these both work up! Thank you! Finished part 11 last night, it looks like I’m nearly there but as you know each round takes ages now! You have quite a way to go, but each part has so much variety that it does not lose the wow factor. So fun!